The people of Gaza remain in need of your generous support. The continuous unrest over the past many years has left the infrastructure seriously shattered and in need of urgent repair. According to the World Health Organization, among the most urgent needs at this time for the people of Gaza is the provision of Clean Drinking Water. Current water supplies are simply insufficient, irregular, unclean and mostly inappropriate for drinking. This has and is leading to serious health consequences for Gazans. 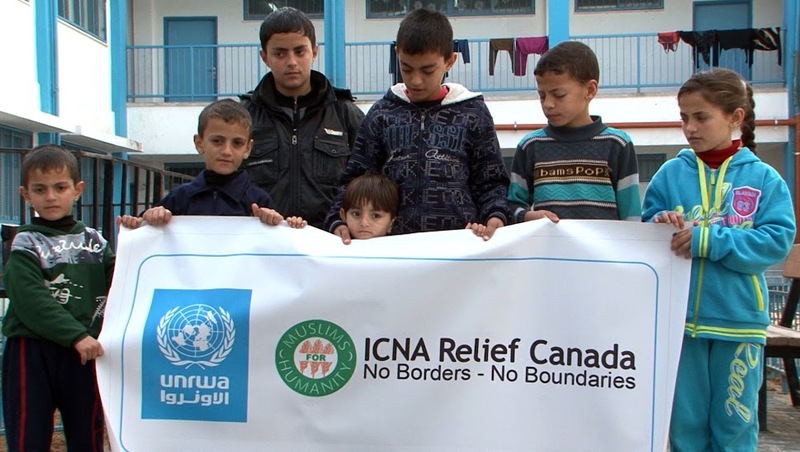 In 2014, Alhamdulillah, with your generous support, ICNA Relief Canada (via our partners) helped the people of Gaza with successful Emergency Relief (Food, Water, and Mattresses) and Eid-ul-Adha (Zabiha / Udhiya / Qurbani) projects worth over $300,000. This year, we need your help again. Please support us for projects like Ramadan and Eid Gift, Clean Water and Education for the needy in Gaza. Your Zakat / Sadaqa / Fidya / Fitra donations can go a long way in providing Gazans with renewed hope for a better future. Donations can be made online through our easy 3 step system, through the phone by calling us toll free at +1 844-997-8777 or locally at (905) 997-8777, or by mailing a cheque to our head office. Please donate generously to help the people of Gaza!